Takt is excited to host Hungarian painter Anita Kroo for an artist talk. Kroo is a Takt alumna and she is currently an artist in residence with Collegium Hungaricum Berlin. Anita Kroo is a Hungarian visual artist currently based in Berlin. She received her MFA in Painting at the Hungarian University of Fine Arts in 2011. In 2015 Anita was awarded the Merit Scholarship of Pratt Institute`s MFA Program, which enabled her to complete her second master’s degree in New York City. She was also awarded the Hungary Initiatives Foundation Study Scholarship, The Hungarian National Cultural Fund Artist Grant in Rome, The Elizabeth Greenshields Foundation Artist Award, and The Nerken Scholarship Award of the UJA-Federation of New York. 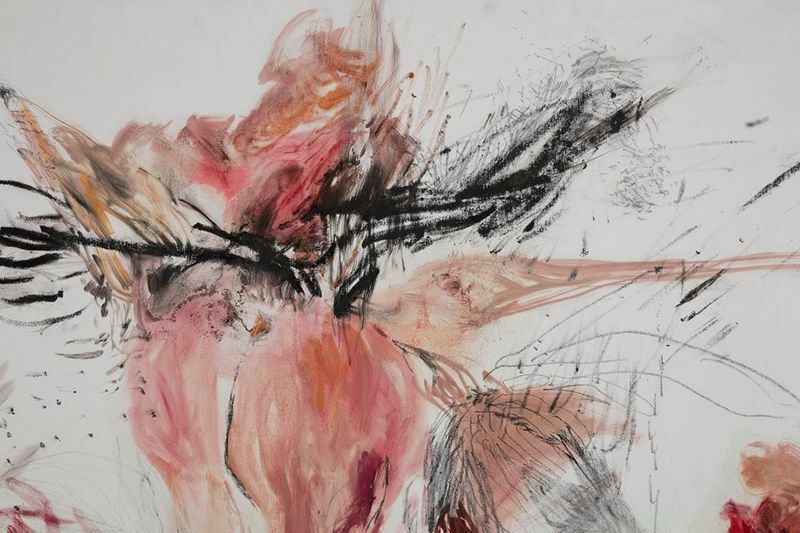 Bordering on abstraction and figuration, her artwork consists of drawings, paintings, and intaglio prints. She has participated in various exhibitions in Budapest, Rome, New York City, and Berlin.